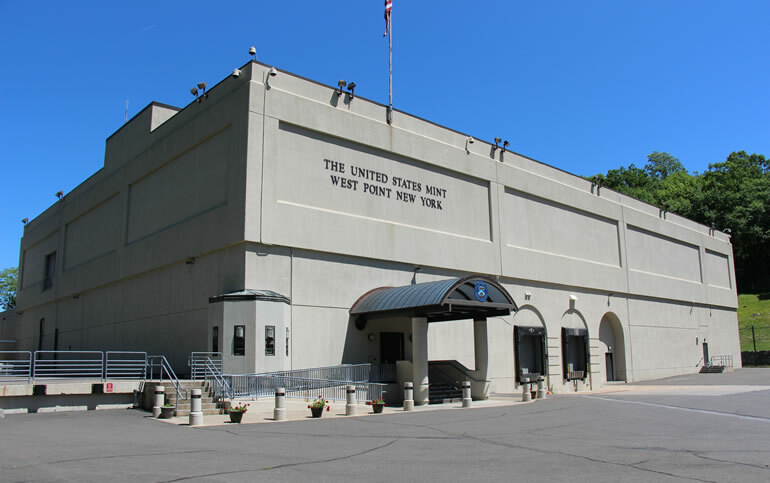 For the first time ever, the United States Mint at West Point is striking circulating quarters that carry a "W" mint mark. They should begin to appear in circulation within four to six weeks, according to U.S. Mint officials. These quarters cannot be purchased directly from the U.S. Mint like other numismatic products. Instead, collectors will need to search for them in change. 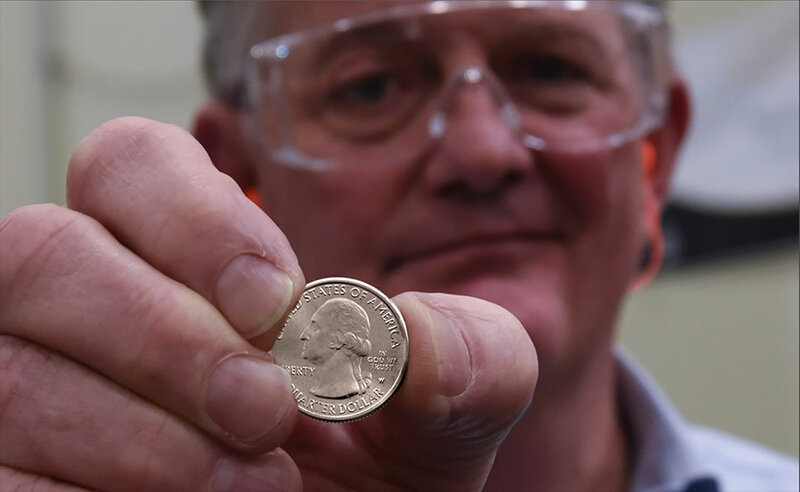 "We want to encourage Americans to consider coin collecting by making the W mint mark quarters only available in general circulation," said United States Mint Director David Ryder. Traditionally, circulating coins are made at the Denver and Philadelphia Mints. 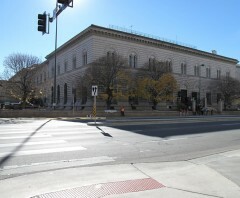 The pair of facilities strikes them for shipment to Federal Reserve branches where they are distributed to local banks and other financial institutions. 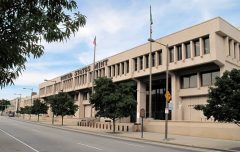 The first batch of West Point Mint quarters were mixed in with Denver- and Philadelphia-struck quarters and shipped April 1. "The announcement of the W mint mark quarters coincides with the 227th anniversary of the United States Mint on April 2 and kicks off a program designed to spark a renewed interest in coin collecting," the Mint explained. "The release also ties in with the American Numismatic Association’s National Coin Week (April 21-27) and parallels a separate initiative that organizers have dubbed ‘the Great American Coin Hunt’." In the the Great American Coin Hunt, hundreds of coin dealers around the nation will be placing old coins into circulation. "We’re fortunate to be able to feature the W mint mark quarters at the same time dealers around the nation are mounting a similar effort to celebrate and promote the hobby of numismatics," Ryder added. Equally divided across the five 2019 quarter designs, there will be a combined ten million "W" mint mark quarters made for circulation. They will be issued as part of the U.S. Mint’s America the Beautiful Quarters® Program which celebrates national parks and other national sites in each state, D.C., and U.S. territory. This year’s quarters honor Lowell National Historic Park in Massachusetts (released Feb. 4), American Memorial Park in Northern Marianas Islands (released April 1), War in the Pacific National Historic Park in Guam (release on June 3), San Antonio Mission National Historical Park in Texas (release on Aug. 26), and the Frank Church River of No Return Wilderness in Idaho (release on Nov. 4). The West Point Mint did produce quarters for circulation from 1977 to 1979. Those, however, do not have mint marks, making them indistinguishable from the ones made in Philadelphia. In 2018, the U.S. Mint produced over 13.1 billion coins for circulation. More than 1.85 billion of them were quarters with mintages that ranged from 289.6 million to 439.8 million across the five designs. The U.S. Mint is on track to make about the same number of quarters in 2019. This year, the West Point Mint is also striking three premium Lincoln cents as companion or bonus coins for numismatic sets. woohoo let the hunt begin! Mike Mezack The king of coin collecting will be selling them soon!!! Repeat Repeat Repeat…..Just understand!!! If this is only for one year, on the plus side I have eight unmarked holes in my ATB quarters album where they will fit. On the downside I wonder if I will find any? I’ve gotten a few business strike San Franciscos over the years but just a couple. All the denominations should’ve gotten this. I guess it’ll also be interesting to see a possible spread of values for these coins because how many will be successfully collected while still in uncirculated condition? It’d be nice for a modern coin in circulated grade, even if only down to AU, to have some value above face so let’s hope they aren’t found for a while! I found 1 today in my change in Ca. Heck yea I love the mint doing something to get people more involved with coin collecting and this is perfect and like vachon said it will be nice to see an au be worth something for once well with modern coins Haha keep going us mint!!!! If it is the same quarter mintage as last year that works out to 1 ’W’ in 185 coins. Not too bad and more than the unc. ’S’ issues. But try to find one near MS-69. That’s why I am wondering if purchasing a bag of 100 from the mint will give me a chance vs sifting through old rolls of quarters from banks. It may if the bag has been salted yet. This program just began so older ones do not have any. Yah let the hunt begin as I want to find one. It’s like finding the golden ticket . I want a golden ticket and I want one now. I don’t understand, does it contain silver? So purchasing a bag of Lowell quarters from the Mint in Philly won’t help? I wonder if their adding to the bags and rolls purchased or were they just put into circulation? My understanding is they were randomly added to the bags for distribution by the Federal Reserve to banks starting with the major cities. But many bags may be around now that were filled before their initial release, at least for the Lowell issue. Maybe a few snaek thru, but the big boys, bankers, sorters, armored car CO’s., cashiers will be on the payroll &pulling these asap…..along with the P mint 2017 cents they will be placed into a vault in Jersey to sit until 2044……. BY THE WAY, I have seen NOTHING in the mainstream press about this W deal, so again IF only we know….it’s a bust………. I read that Trump has requested Treas. Sec. Munchkin send toe production to Mar a Lago for sorting……..bagging & rolling…………….. I sent a Lowell quarter in for a young man today to pcgs for first discovery. I hope he wins. According to U.S. Mint officials, Houston, Dallas & San Antonio will get these “W” quarters mixed in with the “D” quarters for circulation that we get here in the Dallas, Texas Federal Reserve District.